This is my first relief painting. 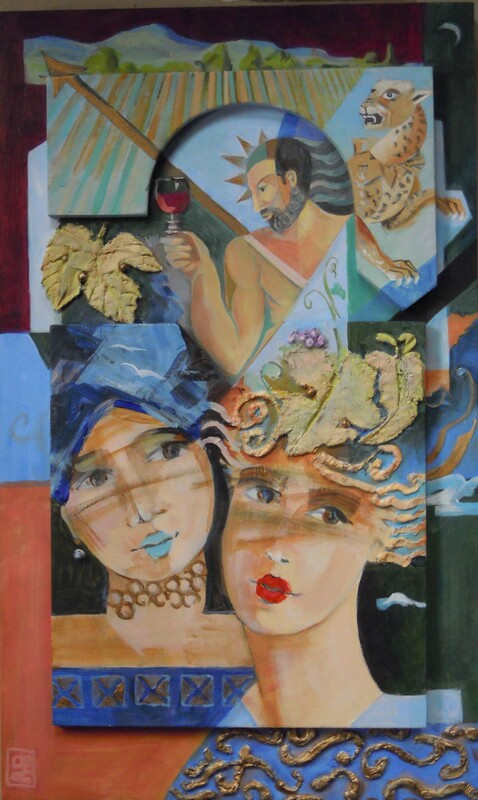 Working in layers of wood, plaster & acrylic paint I designed a multimedia painting about Bacchus, the Roman God of the grape harvest, fertility, theatre and religious ecstasy. I wanted to depict his world from the viewpoint of the women who were part of it. According to my research, his procession was made up of wild female followers and bearded satyrs with erect penises. All sounds quite fun really!